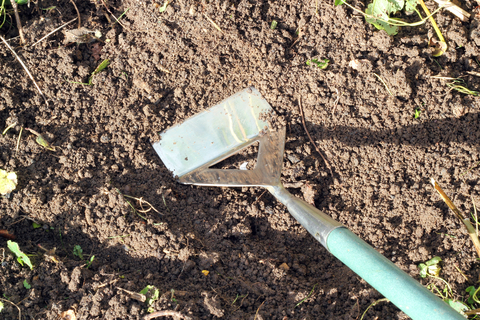 April is a great growing month for vegetables but that also means weeds are competing for space and they will win – unless you hoe. A dry day and a good hoe is all you need to keep you off your hands and knees later because you have let the weed get the better of you. Continue your succession sowing this month and you will have vegetables right through into the autumn. You can sow carrot, turnips, beetroot, spinach, radishes, Brussels sprouts, lettuces, peas, parsnips, broad beans, leeks and broccoli, summer cabbages and cauliflowers. Sow and plant asparagus – beds can take some years to develop but you could be reaping the benefit for many years ahead. Why not grow French beans in pots and if you didn’t sow peas in March you can sow at three weekly intervals until early June with a first-early variety. Early variety leeks can be sown in the greenhouse. For your winter greens now is the time to sow Christmas Savoy cabbages, Brussels sprouts and cauliflowers.